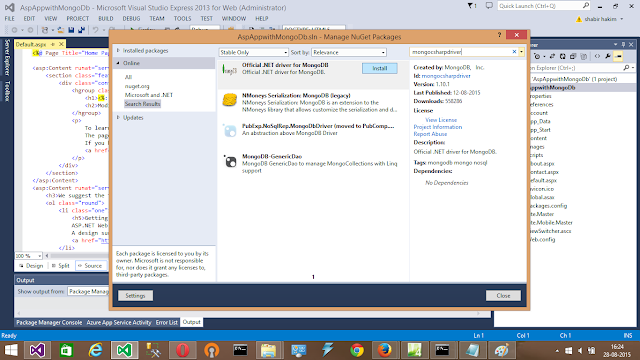 ASSUMPTION:You have basic knowledge of Sql and c# and you have created already user table(collection ) in mongodb. INTRODUCTION:Let us just recall how our traditional RDBM looks like, It is just based on tables made of rows and columns.Similarly mongoDB are based on collection of documents, with each of these documents consisting of key/value attributes(JSON format). A single document can be thought of as the equivalent of a row in a table, with each key being similar to a column name and each key’s value being similar to the respective row’s value. just to recap, MongoDB is made up of databases which contain collections. A collection in turn is made up of documents.Each document is made up of fields. Collections can be indexed, which improves lookup and sorting performance. The core difference is that relational databases define columns at the table level whereas a document-oriented database defines its fields at the document level. A field is a key-value pair. A key is a name (string). A value is a basic type like string, integer, float, time-stamp, binary, etc., or a document, or an array of values. Conclusively you can say, collections are made of JSON-like documents. This is the main difference from traditional RDBM. Note: The BSON is a binary-encoded serialization of J SON-like documents.It is just lightweight, traversable, and efficient. MongoDB is an open-source document database that provides high performance, high availability, and automatic scaling what else you need if your business data is huge or growing fast ? A database can have zero or more collections. A collection shares enough in common with a traditional table that you can safely think of the two as the same thing. Collections are made up of zero or more documents. Again, a document can safely be thought of as a row. Indexes in MongoDB function mostly like their RDBMS(oracle sql server,sybase) counterparts. Starting from MongoDB version 2.2, MongoDB doesn’t support Windows XP. So if you are on Windows XP, either upgrade it or use the lower versions of MongoDB. This tutorial is intended to help you in installing MongoDB on Windows latest versions i.e Windows 7 and Windows 8, 8.1 etc. Follow below steps to perform the installation of MongoDB into your windows system. 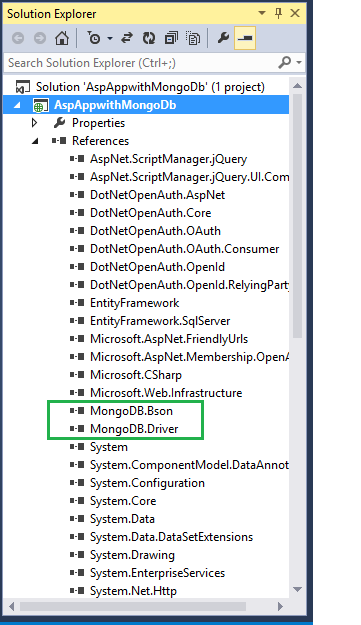 Consider specific MongoDB build type which you need actually Three build types of MongoDB for Windows are available. MongoDB for Windows Server 2008 R2 series: This build type runs only on 2008R2, Windows 7 64-bit, Windows 8, and latest versions of Windows. 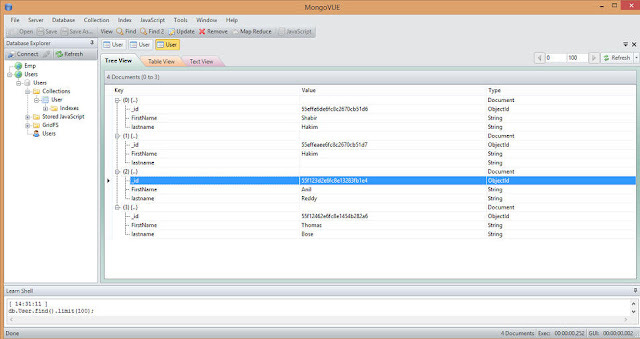 MongoDB for Windows 64-bit: This build type of MongoDB runs on any 64-bit version of Windows latest than Windows XP, involve Windows Server 2008 R2 and Windows 7 64-bit. MongoDB for Windows 32-bit: MongoDB runs on any 32-bit version of Windows latest than Windows XP, 32-bit version of MongoDB are only designed for older system and use for testing and developing systems. Windows 32-bit versions of MongoDB support only database smaller than 2GB. download the latest version release from the MongoDB Download page. Make sure you download the latest version of MongoDB for your Windows. Note that 64-bit versions of MongoDB do not run with 32-bit Windows. MongoDB installation folder move to another location (Optional) Sometimes we want to move the installation to another directory, we can use move command for this. This command needs to be run as administrator. For example, to move the folder to C:\MongoDB follow the steps shown in below images. We need to create a directory where MongoDB server will store all it’s data. The MongoDB default data directory path is \data\db. Make this folder using the following commands from Command Prompt. Note that if the directory doesn’t exists, MongoDB will try to create it. But it’s good to create it before hand. This MongoDB starts the main databases process. The waiting for connection message in the console results determines that the mongod.exe process is complete. Here’s where I’m going to write code it do some database related operations like INSERT UPDATE SELECT.. Please note that i am not fallowing coding best practice just for the sake of making code more understandable. First download and install MongoVUE. Or click Text View to see the raw document.if you are interested in learning more of its features, read through its tutorials.